The question “should we have rules?” is not the right question to ask. We need a society with rules, in fact a society with rules is inevitable. “What should be the goal of such rules?” and “What rules should we have to achieve such goals?”. Those are some of the questions we need to be asking. Our end goal should be to maximize the wellbeing of all (or as many as possible) which implies concern for our global ecosystem since we are dependent upon our global ecosystem. The rules should be specific enough to allow for correctness, yet broad enough to allow for diversity within that correctness. The first rule is free association. Free association has nothing to do with non determinist definitions of free will (the idea that we are free from context), nor does it have to do with the freedom to exploit other people. Free association has three components. Freedom of association (freedom to associate), freedom within the association (decision making power based on equal votes for all people within an association), and freedom from association(freedom to disassociate without harming the free association of others). Freedom from association does not mean the ability to dissent and then violate the free association of others. For example free association does not permit you to get up and say “I’m free from the association” and punch someone in the face. Nor does freedom from association grant you the right to start a violent top down organization (such as a capitalist business or a state). Free association is a psychosocial need. Free association is bounded by the free association of other people. Freedom within an association also means the ability to opt out of activities while remaining within an association. Free intentional volition is intentional volition freed from hierarchy and artificial scarcity. A “guaranteed minimum” enables people to have access to the means of life, enabling people to associate where they want to instead of where they are forced to. The second rule is participatory democracy. This term is problematic but the train of thought is essential. The term is problematic because of the common association of democracy with a representative form of democracy, or a majority rules democracy without free association. However participatory democracy advocates none of the above. Participatory democracy is defined by decision making power being held by the people within an association, as well as equal votes for people within an association. Participatory democracy has a built in defense mechanism against authoritarian relations. One can make a decision that effects the decisions other people make, but no one has the right to inhibit anyone else’s decision making power over decisions that effect them (nor does one member of an association have the right to more votes than another). Participatory democracy can and should exist within and between municipal assemblies, in workforces, in households, and in informal relations. Participatory democracy often takes the form of majority and minority preference within free associations. This is not the majority being authoritarian, nor does it allow the minority to oppress the majority. And the ability for people to dissent from a collective is meaningful in a gift and need based economy, unlike capitalism where one’s options are often “work for a boss or starve/suffer” conditions. Work for a boss or suffer is a threat more than it is a choice. Since one’s needs are met in a gift and need based economy, there is no economic coercion to join collectives one doesn’t want to join. Majority rule is only problematic outside of freedom of/from/within associations and a general set of rules that inhibit authoritarian social relations. The majority of a group expressing a rational preference is not the majority of a group being authoritarian towards the minority(similar to how two out of three people in an association wanting to see a concert that one person does not want to see is not harming the decision making power of the one person who doesnt want to see the concert). Another form of democracy is consensus. Procedural forms of Consensus have issues. Procedural consensus can often be the lowest common denominator rather than what people want to do, especially in groups of many people. However consensus can sometimes be by far the most ideal when it is achieved ORGANICALLY rather than procedurally. Procedural consensus should be differentiated from a ‘meta consensus’, which I’m defining as agreement on rules and/or platforms that we associate within. Then there is the process of deliberation(the process of thoughtfully weighing opinions prior to voting) as a mechanism for arriving at decisions. This process could be COMPLIMENTED well by experts in fields of knowledge as well as interactive digital interfaces that have available evidence for different proposals. This would allow for a more informed deliberation process. Different appeals can be made towards different preferences and synthesis can happen if people prefer such a synthesis between different preferences. Minority preferences can dissent, deliberate, or choose the majority preference. This gives minority groups more freedom than procedural consensus for minority groups can make preferences as long as they do not harm the decision making power of others. When minority preferences and majority preferences cannot coexist due to incompatibility, the majority decision passes and people retain self management. However, through a management of resources based on logic, empathy, and liberatory technology, many of these incompatibilities between different preferences can be resolved. Majority preference bounded by a liberatory set of rules produces more freedom than procedural consensus, for people can make decisions as long as they do not harm the decision making power of others without everyone agreeing every time anyone does anything. Procedural consensus gives individuals unlimited power over every decision made by groups. Even if ALL(or most all) industry was COMPLETELY(or almost completely) automated, we would still need and want participatory democracy within free associations when we associate with each other socially and politically, as well as to determine what is produced when there are and when there aren’t incompatible preferences. Participatory democracy is needed to determine if there is an organic consensus, and to determine what we can do when there are different preferences. (((If participatory democracy appears foreign to you in regards to lived experience, the chances are that you already utilize participatory democracy amongst friends when arriving at preferences))). The biggest problem with participatory democracy within a free association is not the fact that people are making preferences. Problems arise when the preferences are irrational or malevolent. To minimize irrational and malevolent preferences we ought to use dialogue, compassion, logic, and the scientific method. The third rule is the use of compassion, logic(deductive, inductive, abductive, systemic, processual), and the scientific method as mechanisms for arriving at decisions. The intent of compassion is necessary but insufficient in and of itself for maximizing the wellbeing of all. If we have the ought statement of we “ought to maximize wellbeing” but we use incorrect is statements then our ought statements can be flawed and even dangerous. If we want to be serious about compassion then it cant just be an intention, we need to actually arrive at the consequences we are intending for. And the scientific method is an important rudder that allows us to aim our compassion. The fourth rule is decentralization of decision making power. Merriam Webster defines decentralization as “the dispersion or distribution of functions and powers”. Central planning (like irrational planning) is incapable of meeting human needs because it is disconnected from free association which is a psychosocial need. Decentralized planning on the other hand does not suffer from the ignorance of irrational planning nor the violence of central planning. Decentralization of power also creates resiliency. Centralization of power leaves society vulnerable. For the society is forced to be dependent on a centralized power structure. However decentralization of power makes societies less effected by errors. One decentralized component fails and there are others ready to take over the function of the failed system and/or contribute with mutual aid to help the failed system. However even if decentralization of power was less resilient than centralization of power(which it isn’t) we should still advocate for decentralization of power because it is based on egalitarian principles. Its important to stress that advocates of decentralization of power are not against legitimate authority(such as a doctor, a shoemaker, a solar panel engineer, or a teacher). Legitimate authority is different from authoritarian social relations. Delegation of tasks to certain experts is inevitable and desirable, but we ought to delegate such power in non authoritarian ways. Planning, plans and implementations of plans ought to be based on dynamic liberatory community/collective/self management. It is important that decentralized societies associate with one another in order to help each other out in regards to meeting everyone’s needs and teaching one another. This is why the fifth rule is confederation. The term confederation (like democracy) is a tricky term to explain because of various connotations (for example connotations relating to the confederate states of America). However, what a confederation means within anti authoritarian circles is a decentralized federation, or non authoritarian associations between non authoritarian associations. There is a common theme between free association/participatory democracy/decentralization/confederation. They all aim towards harmonizing the individual with the community and the ecosystems they are dependent upon. Free association and meeting people’s needs makes sure that democratic institutions allow for meaningful dissent, and decentralization of power makes sure that the federated associations don’t have any political power to be oppressive. Delegates of associations only have communicative and administrative power, not decision making power. Delegates are mandated and can be recalled by the people who they are delegated by. The delegation process can be assisted by electronics, allowing different associations to communicate more directly. However, lack of face to face relations within the delegate process can lead to miscommunication. Face to face democracy is essential on the most local level. Although preventative approaches through stopping hierarchy, structural violence, arbitrary rule, etc. are the best ways to minimize violence, it is important that there is a non hierarchical standard through which violence is held accountable to. Such a standard should be rooted in self defense, defense of others, exhausting non violent approaches, restorative justice, transformative justice, and non-hierarchical security forces. Punitive justice systems are rooted in revenge rather than stopping harm from being caused and cause mass re-offense of violent crimes rather than actually having a positive effect at deterring and minimizing violence. Punishment puts fuel on the fire of authoritarian relations. The seventh rule is the automation of mechanical labor in accord with the needs and rational preferences of communities and individuals. We have the technology to automate the vast majority of mechanical labor to the point where people can be free from it. This would allow people to contribute to science and art rather than be forced to perform avoidable drudgery. The freedom from avoidable mechanical labor through automation is in many ways one of the freedoms that post scarcity economics provides that distinguishes it from traditional anti authoritarian strains of economics. Before the technology exists to automate an undesirable but necessary chore, the chore can be see as “a necessary evil”. However when the technology exists to automate such a chore, the chore becomes an unnecessary evil. 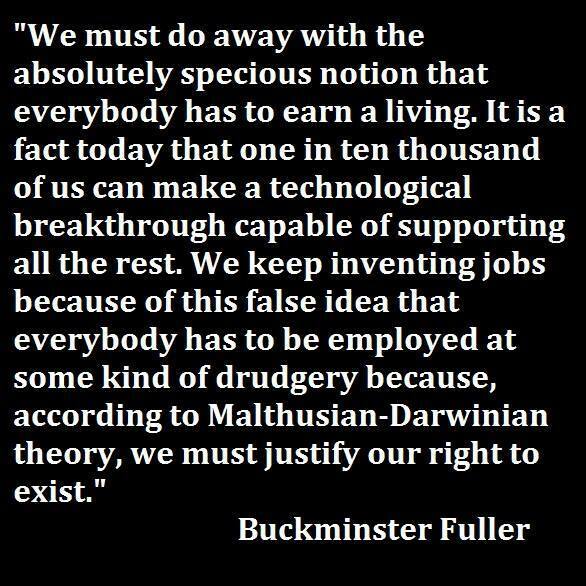 Given that we have the technical potential to automate anything simpler than the complete production and distribution of an automobile, we can minimize the vast majority of undesired labor and have rotating volunteers do the mechanical labor that we cannot automate. The eighth rule is freedom from systems that generate avoidable unmet needs or freedom from structural violence. Why? because structural violence creates avoidable suffering. And avoidable suffering is by definition something we want to avoid(otherwise it wouldn’t be suffering). Freedom from structural violence has very liberatory implications including a change in property relations. Private Property is based authoritarian hierarchies rather than needs/use. The inequality of purchasing power created by private property and market systems makes it so people can have irrational wants met while other people don’t have their basic needs met. The consequences of private property(not to be confused with personal property) allow some people are more entitled to shelter than others. Private property relations allow absentee owners and private individuals can own the means of production and profit off of the labor of workers. Private Property and market systems lead towards buying and selling the necessities of life and by extension buying and selling of people. And of course private property requires a state to enforce the extreme wealth inequality that private property creates. State property is a form of private property, for private owners/managers control it not the people the state claims to represent. What we need is a usership system that puts meeting human needs as a priority with library esque access centers rather than an ownership system based on the amount of money one has. We ought to replace private property with community ownership of the means of production, as well as anti authoritarian collective property, and personal property(or possession) without conspicuous consumption. Freedom from avoidable unmet needs also implies freedom from attitudinal/behavioral/ideological/institutional sexism/racism etc. It is essential that we do not just abolish systems of authoritarianism, we also must minimize authoritarian behavior/attitudes/ideology. The ninth rule is a gift economy rather than a monetary system. Merriam Webster defines gift as “something voluntarily transferred by one person to another without compensation” . However through the nurture/nature of gifting people feel obligated to give back. Gift can occur from community to individual, from the individual to the community, from individual to individual, and from community to community. Economic rewards and punishments only have the ability to motivate work for PURELY mechanical labor. However the vast majority of that labor can and should be automated. Making there no reason for economic rewards/punishments given that economic rewards/punishments inhibit work that isn’t purely mechanical. The tenth rule is that Our technical efficiency should be used for human wellbeing and integrated with ecological principles. We need to manage our finite resources in a way that meets human needs(and by extension we need to have concern for the environment we are dependent upon). This means we can’t afford to take cost efficiency and profit into consideration when it comes to production and distribution. We need to take human needs/preferences and ecological principles into consideration. The market and the state limit our liberatory technical potential through turning the means of production into means of destruction. These rules in isolation are not sufficient, but when they harmonize with each other they are able to create liberatory conditions. If our goal is to maximize wellbeing, the scientific method can allow us to achieve compassionate results(rather than mere compassionate intentions…). If our goal is maximizing the wellbeing of all, logic steered by compassion leads us towards meeting human needs(both finding out what these human needs are, and how to best meet them with the current technology available) and the scientific method leads us to an ecological focus by extension(and our ecological problems are social problems in disguise). And if we are trying to meet human needs, we need an access system based on needs/use rather than a system based on private property(and centralization of power). Free association is by definition a preference we have in regards to how we want to be treated. From free association bounded by the free association of others (or social freedom) we get Participatory democracy and decentralized yet confederated associations. Our current technology allows us to automate mechanical labor freeing us from avoidable suffering. Due to the potential for the automation of mechanical labor aimed at meeting human needs with concern for the environment, there are no longer any meaningful arguments for a deeds based economy outside of transitioning to a gift and need based economy. And when it comes to suppressing symptoms, restorative justice and non hierarchical restraint based defense is less harmful and more effective than punishment models.